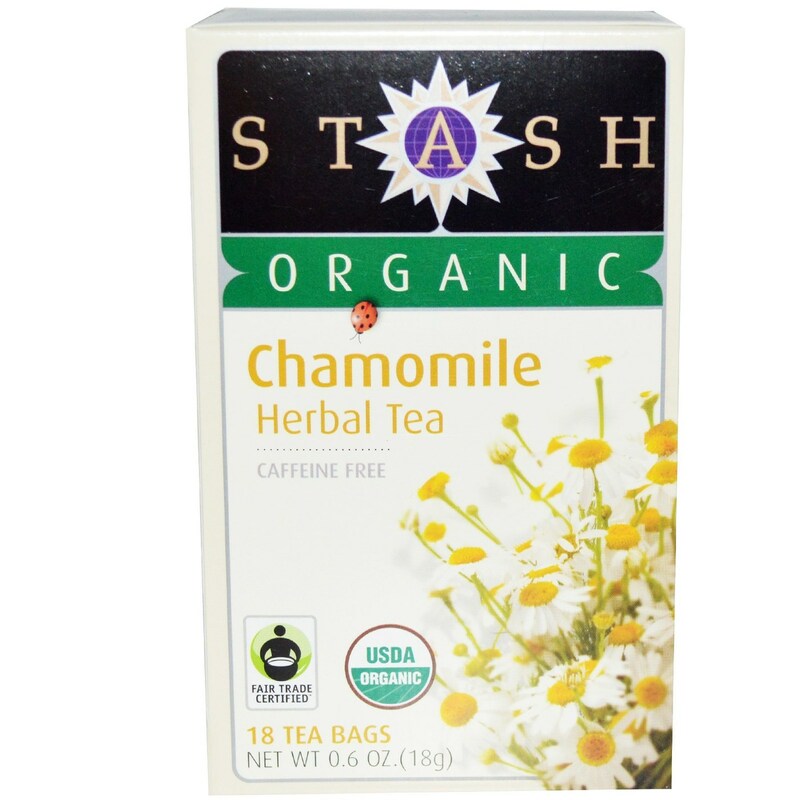 Stash Tea Organic Chamomile Herbal Tea is both fair trade certified and USDA organic. 警告: Keep out of reach of children. Do not consume contents inside tea bags. Test temperature of tea before consuming. 注意事项: USDA Organic. Non-GMO. Fair Trade. Kosher Parve. Ingredients: Organically grown chamomile flowers. 推荐用法: Bring fresh water to a rolling boil. Pour hot water directly over the tea bag in a pre-heated pot or cup. Brew 3-5 minutes or to desired taste. 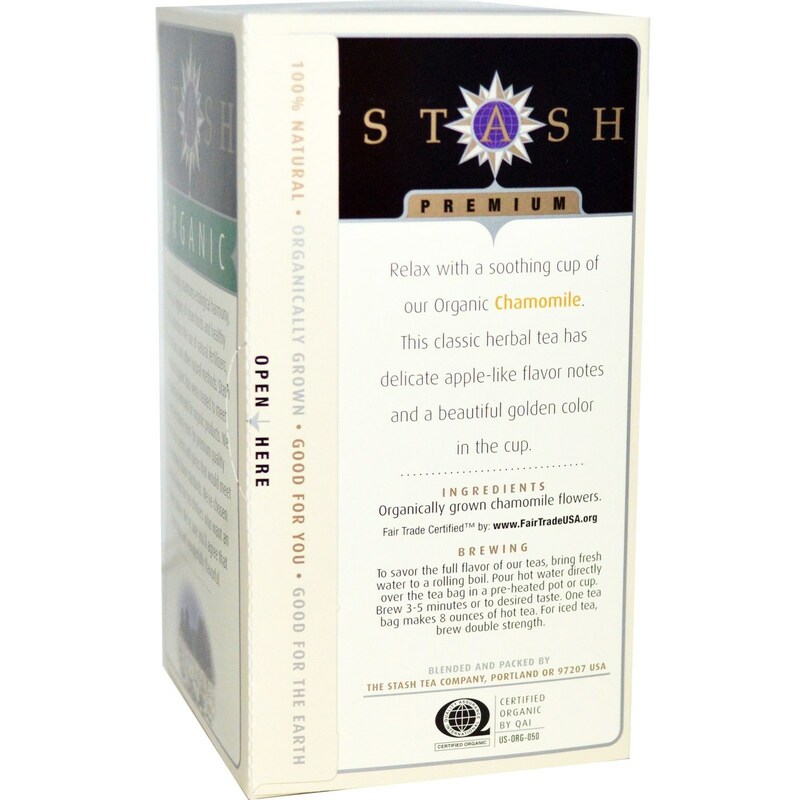 One tea bag makes 8 ounces of hot tea.